Mark van der Laan, Ph.D., is a Professor of Biostatistics and Statistics at UC Berkeley. His research interests include statistical methods in genomics (i.e., computational biology), survival analysis, censored data, targeted maximum likelihood estimation in semiparametric models, causal inference, data adaptive loss-based super learning, and multiple testing. Further details on Mark’s research interests are available here. His research group developed loss-based super learning in semiparametric models, based on cross-validation, as a generic optimal tool for estimation of infinite dimensional parameters, such as nonparametric density estimation and prediction based on censored and uncensored data. Building on this super learning methodology, his research group developed targeted maximum likelihood estimation of a target parameter of the data generating distribution in semiparametric models, as a new generic optimal methodology for statistical inference. These general statistical approaches are applied across a large variety of applications such as in the analysis of clinical trials, assessment of (causal) effects in observational studies and the analysis of large genomic data sets. Details about Mark’s education, experience, and publications can be found in his CV. Mark is also the founder of Target Analytics, a company that offers statistical consulting services and translates state-of-the-art causal inference methodology into user-friendly software products. 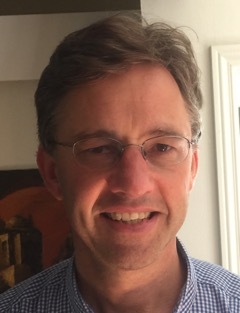 Mark came to UC Berkeley from the Netherlands’ University of Utrecht, where he studied mathematics (1985-1990) and obtained his Ph.D. (1993). He completed his thesis, “Efficient and inefficient estimation in semiparametric models,” under the guidance of Prof. Richard D. Gill. In 1994, Mark was a Neyman Visiting Professor in the Statistics Department at UC Berkeley. Subsequently, he accepted a tenure track position in the Division of Biostatistics, School of Public Health at Berkeley, and became an Associate Professor in Biostatistics in July 1997. By July 2000, Mark was a Professor in Biostatistics and Statistics. Having taught introductory courses in Biostatistics for Public Health students, he currently teaches classes on censored data, survival analysis, causal inference, data adaptive loss-based estimation, adaptive designs, targeted maximum likelihood estimation, and multiple testing. He has been or is Associate Editor for Biometrics (1997-2003), Associate Editor Lifetime Data Models (1996-2000), Associate Editor for Journal of Statistical Planning and Inference, Statistical Applications in Genetics and Molecular Biology, Annals of Statistics, Journal of the American Statistical Association, founding editor of the International Journal of Biostatistics, Electronic Journal of Statistics, Journal of Statistical Medical Research. He is also Director of the Biostatistics and Computing core of the Superfund Research Program of a Center on Genomics in Environmental Science in the School of Public Health, headed by Professor Martyn Smith. Several grants have been awarded to Mark, including an NIH FIRST Award research grant for the period 1996-2001 to work on “Locally Efficient Estimation in Censored Data Models “; an NIAID grant for 1999-2002 to develop a unified methodology for censored data and causal inference; a 3 year grant he received in March 2001 from the Life Science Informatics Institute and its industrial partner, biotech company Chiron, to create statistical methods for data structures involving microarray data on complete (human) genomes; an NIH grant “Statistical Analysis of Longitudinal Studies with Gene Expression Data ” (2002-2006); an NIH grant “Data Adaptive Estimation in Epidemiology and Genomics ” (2004-2007), and an NIH grant ‘’Targeted Maximum Likelihood Estimation’’ (2008-2011). Mark received the 2004 Mortimer Spiegelman Award. The Mortimer Spiegelman Award was established in 1969 by his family and is awarded annually to a young statistician for outstanding contributions in health statistics. It is presented by the Statistics Section of the American Public Health Association (APHA). Mark received the van Dantzig Award on April 11, 2005. Once in every 5 years the Dutch Statistical Assocation presents the van Dantzig Award, which is the most prestigious award in operation research and Statistics in the Netherlands. 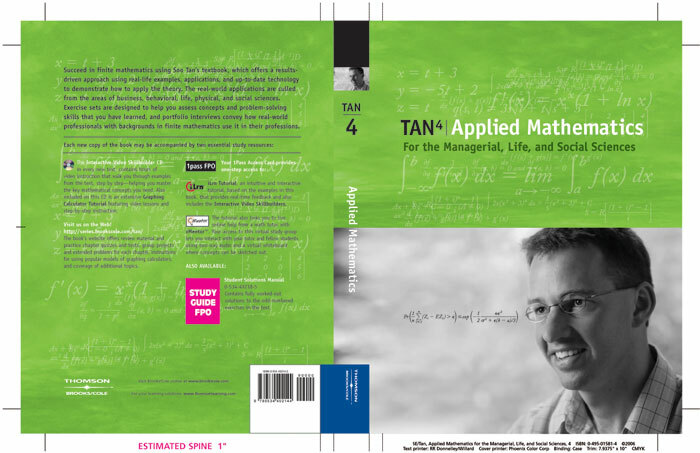 The award is in memory of Prof. Dr. D. van Dantzig, the founder of Dutch mathematical statistics. The van Dantzig Award is presented to a Dutch statistician or operation researcher who is not older than 40 years and who during the past 5 years has made an exceptional contribution — either theoretical, or practical— to the field. Previous recipients of the van Dantzig Award are Van Zwet (1970), Van Meurs (1975), Hordijk (1980), Rinnooy Kan (1985), Gill (1990), Ridder (1995), and van der Vaart (2000). Mark was selected to present the 2005 Lefkopoulou distinguished lectureship, Harvard University, Boston, September 15, 2005. This lectureship is an award from theDepartment of Biostatistics, Harvard University, Boston. The program was established in honor of the late Myrto Lefkopoulou, a faculty member and student in the Department of Biostatistics. The lectureship is awarded to a promising biostatistical scientist who has made contributions to collaborative or methodological research in the application of statistical methods to biology or medicine or to excellence in the teaching of biostatistics. Mark has been awarded the UC Berkeley Chancellor Endowed Chair 2005-2008, and the long-term Jiann-Ping Hsu/Karl E. Peace Endowed Chair in Biostatistics starting 2005. Nick Jewell and Mark van der Laan received the 2005 COPPS Snedecor Award for the paper ‘Case-control current status data’ in Biometrika, 2004, v91, pp. 529-541. The Snedecor award is presented every two years. The criteria for the award are to an individual(s) who has been (1) instrumental in the development of statistical theory in biometry, and (2) who has a noteworthy publication in biometry within three years of the date of the award. The award is also a tribute to the overall contribution to biometry. Mark received the 2005 (COPSS) Presidential Award. The Committee of Presidents of Statistical Societies (COPSS) Awards are jointly sponsored by the American Statistical Association, the Institute of Mathematical Statistics, the Biometric Society ENAR, the Biometric Society WNAR, and the Statistics Society of Canada. The Presidential Award is presented annually to a young member of one of the participating societies of COPSS. The award is presented in recognition of outstanding contributions to the statistics profession. The President’s Award is granted to an individual who has not yet reached his or her 41st birthday during the calendar year of the award.